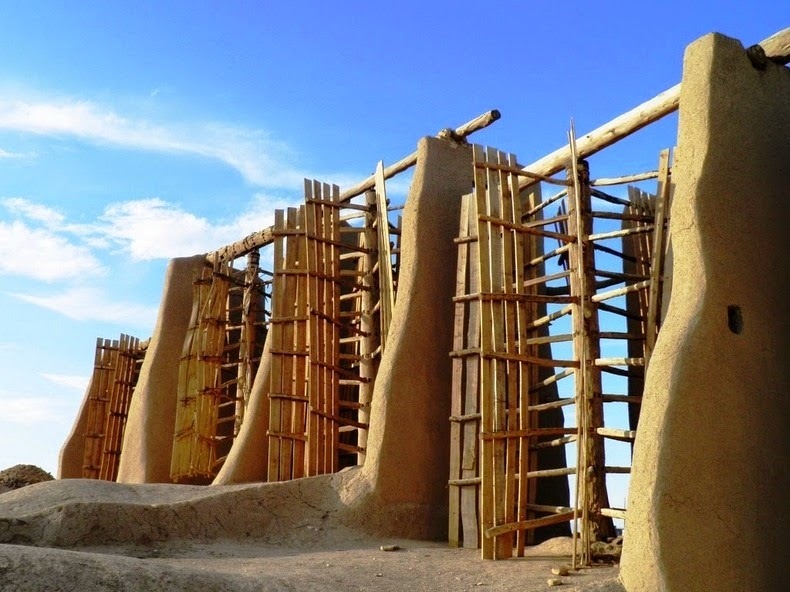 Wind power has been used by humans since antiquity. Great oceans were crossed to explore unknown lands by putting up sails against the wind. 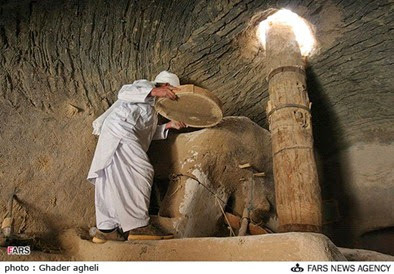 At home, wind drove machines that ground grains between stones to produce flour and pumped water from rivers and wells. 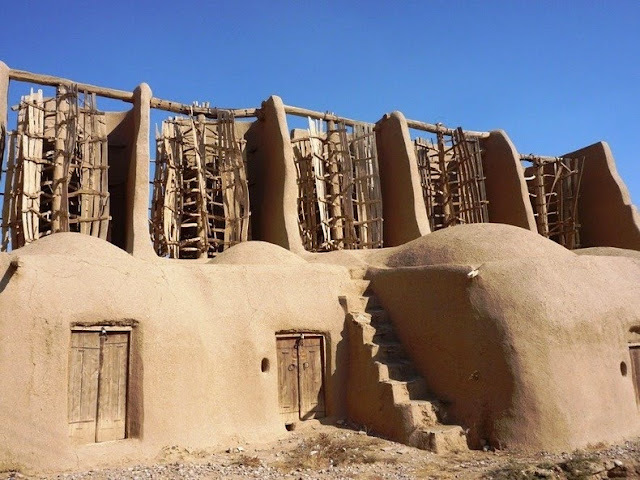 The first practical windmills went up in Persia, possibly as early as the 5th century AD. 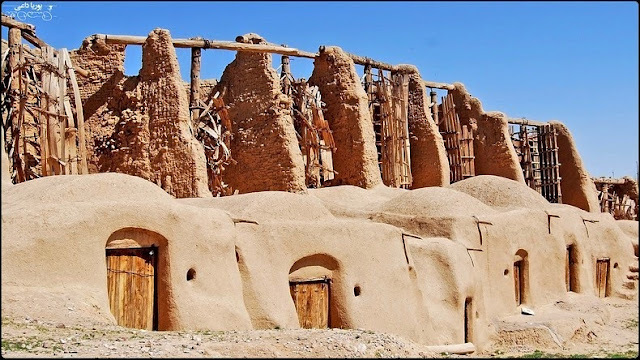 These were horizontal windmills with long vertical driveshaft with six to twelve rectangular sails covered in reed matting or cloth, and they were used at homes as well as in grist milling and sugarcane industries. The use of windmills became widespread across the Middle East and Central Asia, and later spread to China, India and the rest of Europe. 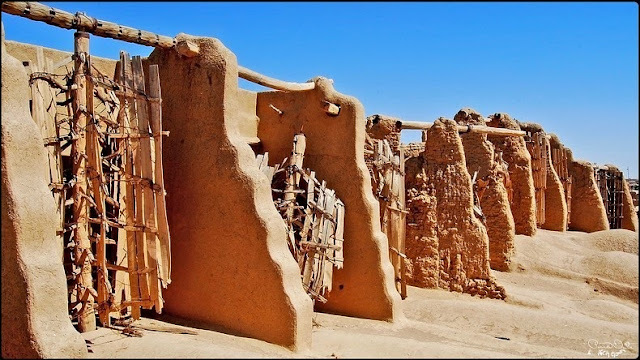 Some of these earliest examples of vertical windmills can be seen in the town of Nashtifan, where they are still in use. Nashtifan is a town located in the southern parts of Khorasan Razavi province, in Iran, 20 kilometers away from Khaf and 30 kilometers away from the border with Afghanistan. One of the main characteristics of the area is the strong winds that blow across it, causing it to initially be called Nish Toofan or “storm’s sting”. As a result of the natural elements in the area, windmills have been part of the region’s industrial creativity and have been used throughout many centuries. There are approximately 30 of windmills scattered thought the area and can reach heights of 15-20 meters. 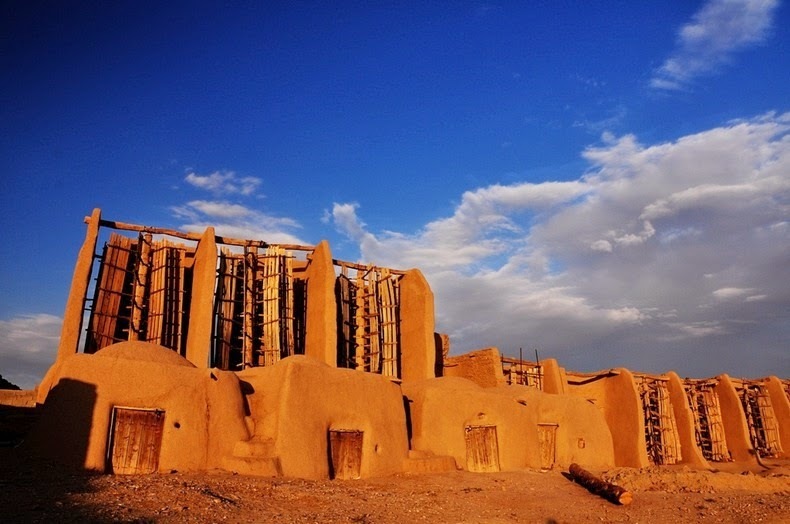 The windmills are believed to have been erected during the Safavid dynasty and are generally constructed out of clay, straw and wood. 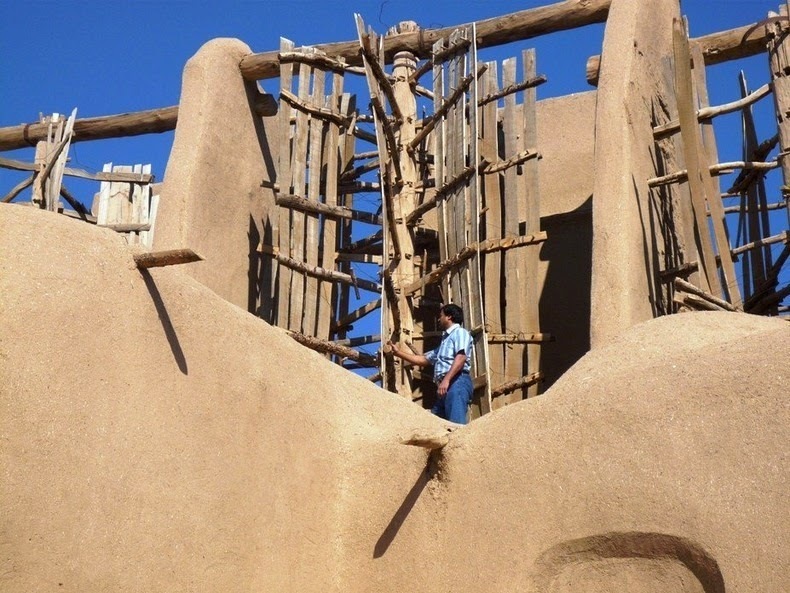 The wooden blades of these windmills turn the grinding stones in a room made of clay. Each of the windmills consist of 8 rotating chambers with each chamber housing 6 vertical blades (essentially a wall with slits). Once the chambers begin rotating by the force of the wind, it results in the turning of the windmill’s main axle which was in turn is connected to grain grinders. The vibrations created by such rotation gradually shifts the grains from their holding container to the grain grinders. The end result is that the grain is ground into flour. The windmills at Nashtifan have a horizontal design, i.e. the driveshaft is vertical and the wind panels rotate horizontally. This is the first known documented design and not very efficient compared to today’s vertical windmills where the wind blades rotate vertically. The downside to horizontal windmills is that because the wind panels rotate horizontally, only one side absorb the wind energy while the other half of the device have to essentially go against the wind current and thus waste energy in order to do so. As a result the blades can never move faster than, or even at, the speed of the wind. The drawback in the design is compensated by the immense wind energy that is available in this area. At Nashtifan, speed of the wind often reach 120 kilometers per hour. 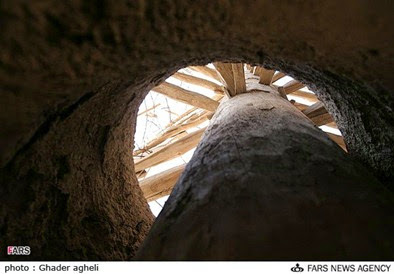 In 2002 the windmills of Nashtifan were registered as a national heritage site by Iran’s Cultural Heritage Department.